It is time to get better with your directions! 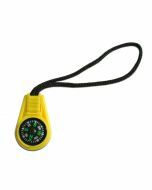 Clip on this logo compass and get out on the trail! 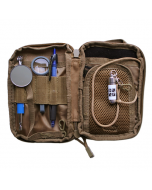 From our friends at Bison Designs comes the ClipIt® Compass. 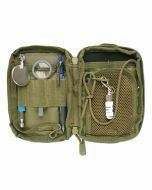 It has a compass on the front, the Official Geocaching Logo on the back, and clips right on to your favorite Geocaching gear. These are a great addition to your TOTTs collection or also make great gifts or SWAG. Please note: For Accessory Use Only. Not intended for climbing or supporting loads over 10 lbs. Measures approximately 2.75 inches by 1.0125 inches. Made of anodized aluminum. 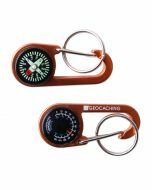 Includes the ClipIt® carabiner style compass and also a key ring.